We got Taylor in May 2018. She’s an old girl who was left neglected and was stuck in a time warp. There was wood everywhere, lots and lots of wood. She needed a serious amount of TLC and I needed a serious amount of cleaning products and marigolds to get her in a somewhat ‘live-able’ state. My momma raised me to never judge a book by its​ cover and well, I’m so glad that she did. I admit, from the outside she’s not much of a looker but the potential there is HUGE! Our days last year consisted of going to work in the day and working on our van long into the night and weekends. It’s been an exciting and totally different little project that we have ever done which we’ve been working on with my Mom and Dad and to be honest, we would not have managed to have got half of the stuff done without them. My Dad’s the kinda guy who will not be beaten, his determination is second to none and he turns his hand to all things DIY. He’s taught me and Al loads – although I’ve always been his little ‘mukka’ when growing up and passed him the tools he needed when asked so I’m used to his bossy ways! My Mom has provided us copious amount of advice, teas, coffees, yummy meals, ice cream, motivation and a huge amount of positivity thrown in for good measure. Together, we make the dream team! Due to working full time, we wanted a project that we didn’t have to start from scratch and build the fixtures and fittings and we were looking for more of a revamp/renovation project. 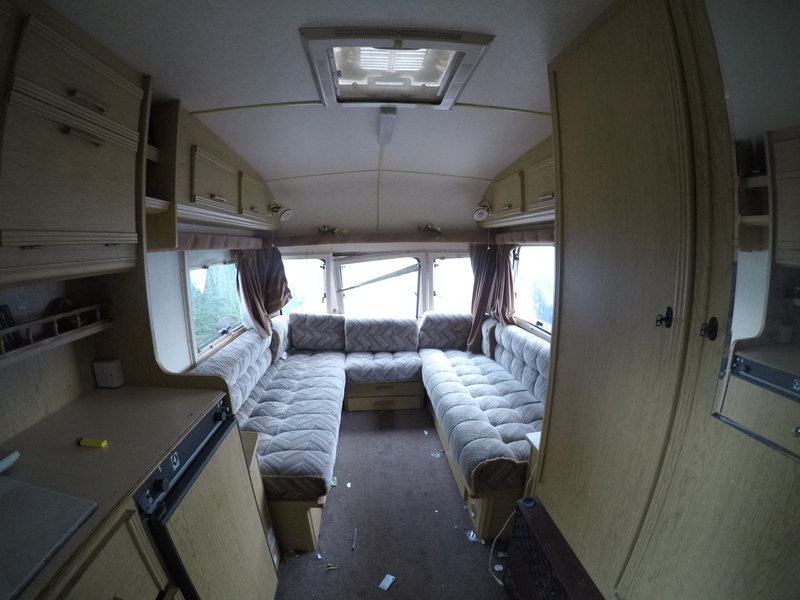 When we started work on the van, we realised that we had damp (and a lot of it). 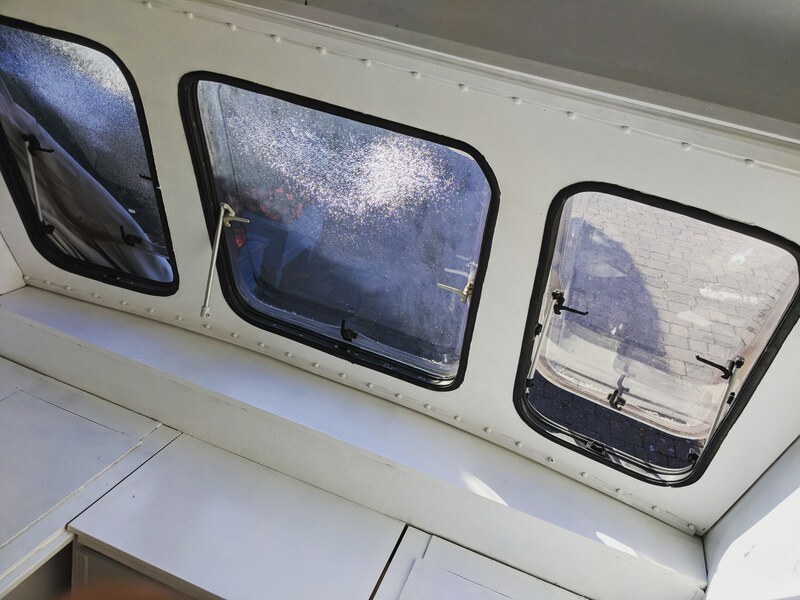 It was that bad that we had to rip the front part of the caravan out completely and start again. It was a challenge to say they least but we did it and I think it looks bloody good if I do say so myself. Although I love sewing and making dog bandanas, I wouldn’t call myself an upholsterer but due to working with a tight budget, it’s something we had to turn our hand to. I think the cushions that we have revamped have turned out pretty alright don’t ya think?! Deciding on a colour scheme for Taylor was easy – grey and mustard. 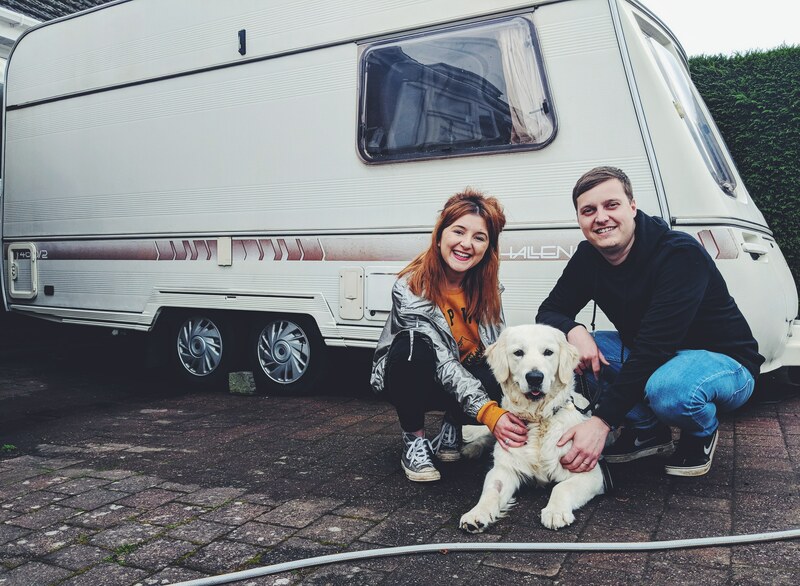 I’ve already got the soft furnishing, pretty fairy lights and cool projector ready to help make our house on wheels the perfect chill out zone after a day of exploring. 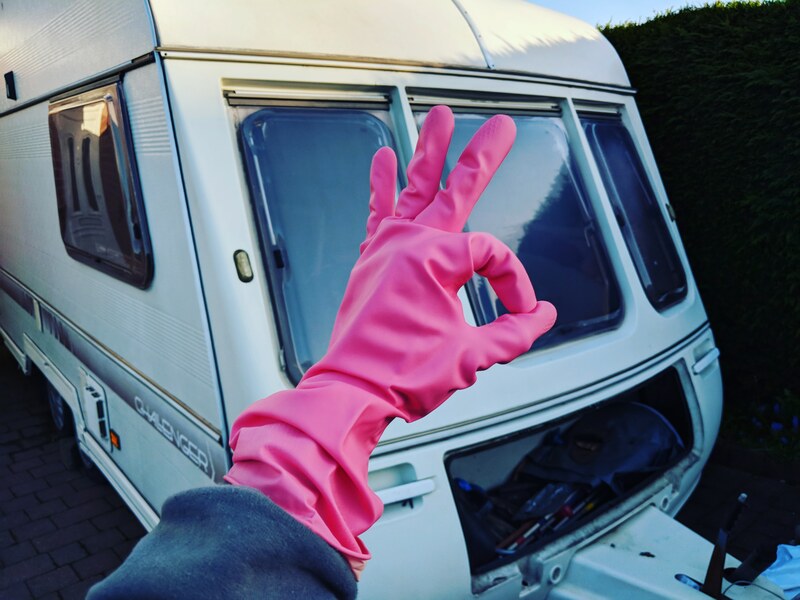 Like most things in my life, I set up an Instagram account to unclog my personal account of all ‘van life’ adventures (but somehow they are still in there!) 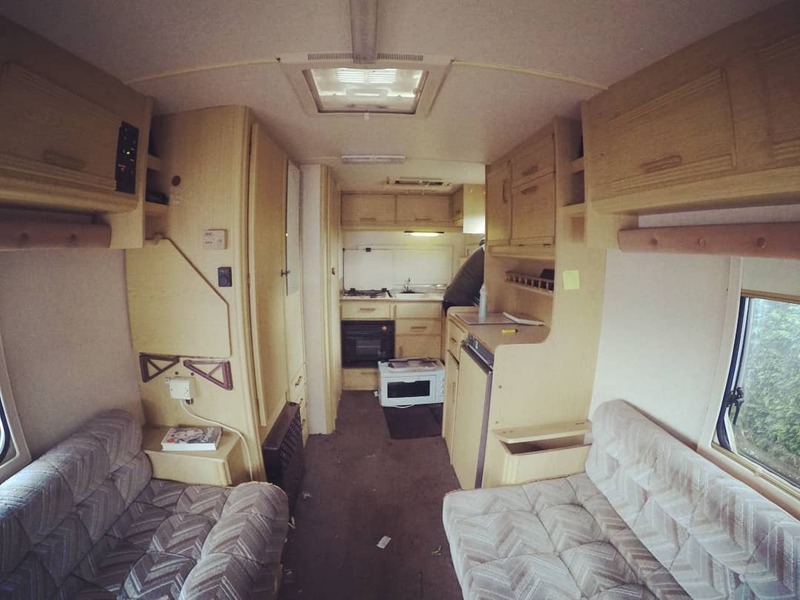 and in doing so, I picked up some great tips and tricks from others who are also renovating similar caravans to us. 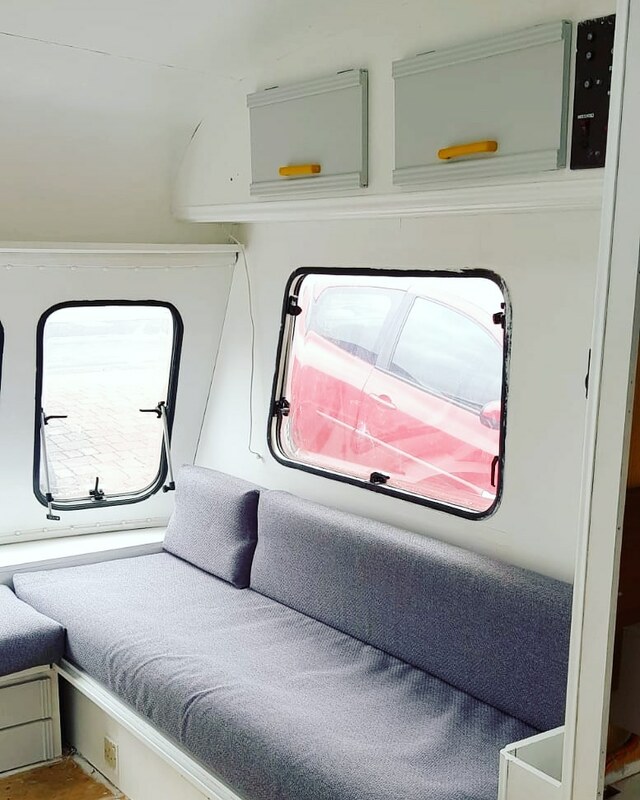 There’s still a long way to go to get Taylor complete and on the road but for personal reasons last year our renovations grinded to a halt and since then I’ve kinda lost my van life mojo! I’m hopeful I will find it again and we will get back on track and get Taylor finished when we return from our Scottish Road Trip this summer. Since writing this post I’m already super excited to do so!! But what I am looking forward to most is finishing work on a Friday and heading off for a weekend full of adventures with my boyos. 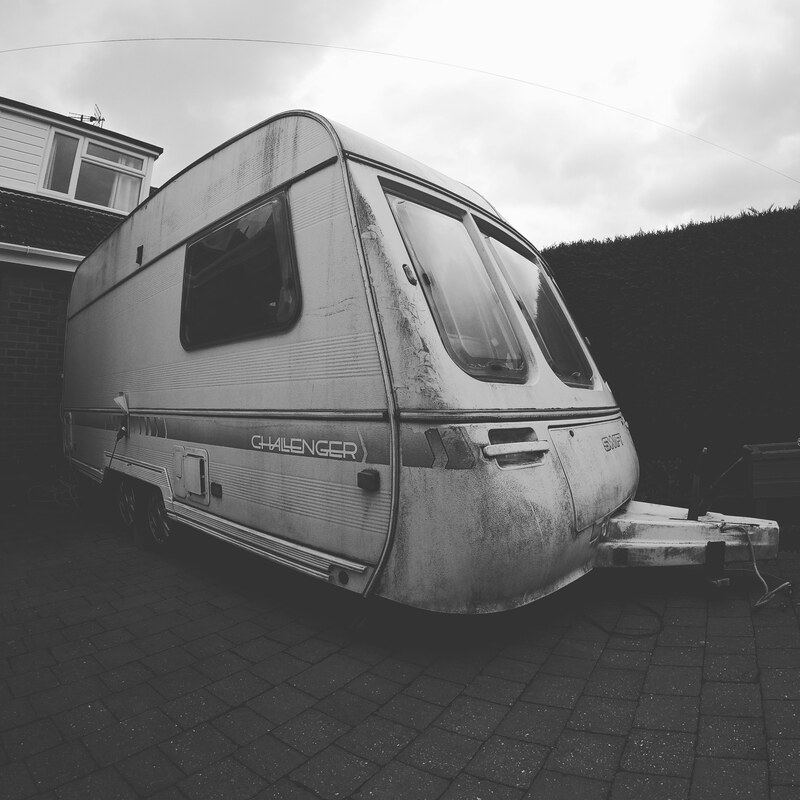 I promise to keep you updated with our progress and our adventures we have in Taylor The Trailer Swift. To me home is wherever I’m with my family and now Taylor is here, I guess you could say that home is where we park it! 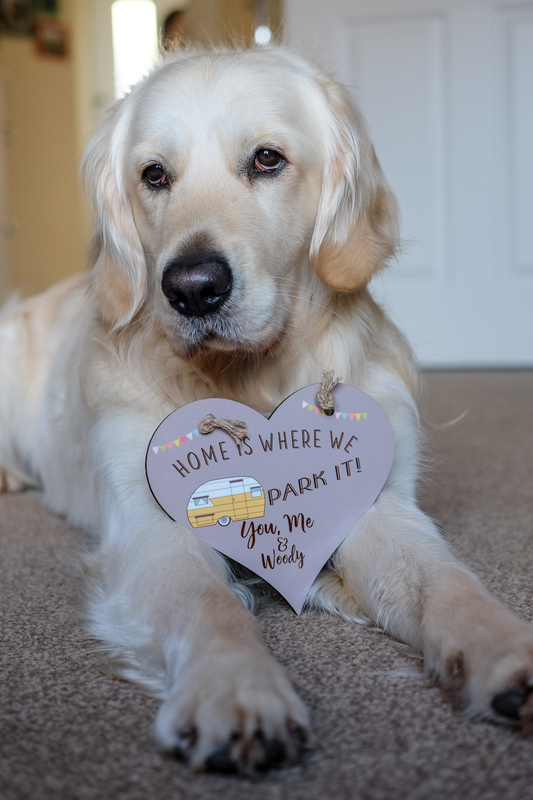 P.S – I think Woody is excited for the adventures too (despite what his face says here). He was giving me attitude because he just wanted to eat ham I was holding.